Compare and Contrast - Students select two works of art from a list of 26, and then write their own short essay comparing the works of art. 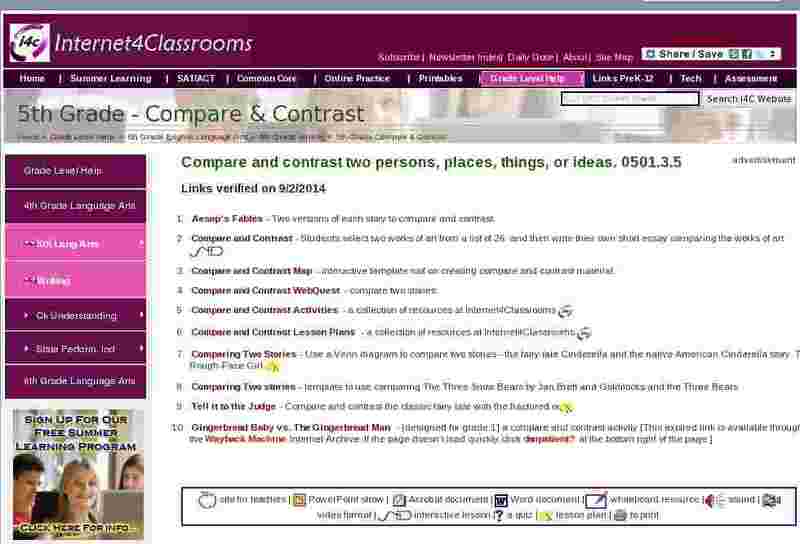 Compare and Contrast Map - interactive template tool on creating compare and contrast material. Comparing Two Stories - Use a Venn diagram to compare two stories - the fairy tale Cinderella and the native American Cinderella story, The Rough-Face Girl. Comparing Two stories - template to use comparing The Three Snow Bears by Jan Brett and Goldilocks and the Three Bears.